On 8th October, 1943, in Columbus, Ohio, the first of three Stine siblings was born; Robert Lawrence Stine, known to friends and family as Bob, would go on to become the worlds teenage literary answer to Stephen King. Bob was nine years old when he unearthed an old typewriter in the attic; a discovery which, unbeknown then, would change his life for ever. Never one to play outside, Bob took the typewriter to his bedroom and began to type the first of many stories and joke books. School did not see Bob as a great student. He hated math, he hated gym (the only sport he was ever good at was ping pong! ), and he hated studying. Instead, he spent most of his time writing stories and joke magazines. After graduating from Ohio State University in 1965, Bob headed to New York City to become a writer. He wrote dozens of joke books and humor books for kids, and created Bananas, a zany humor magazine. If you look for that work now, you’ll have to look under the name, Jovial Bob Stine. In 1962, Bob married Jane Waldhorn. Jane became an editor and writer, and together they worked on several children’s books. Later, Jane and her partner formed their own publishing company, Parachute Press, and helped create all of husband’s most popular book series. In 1986, Bob became R.L.Stine and turned scary! In 1989, Fear Street, the best-selling, young adult series in history was created. 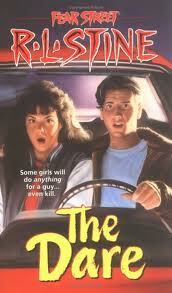 Fear Street boasts approximately100 books about teens facing all kinds of terror. Then, in 1992, the Goosebumps series hit the bookshelves and instantly became a hit around the world. To date, it’s been translated into 32 different languages and made R.L. Stine a worldwide publishing celebrity. To follow this success, The Goosebumps TV show was created and became America’s number-one kids’ show three years in a row. 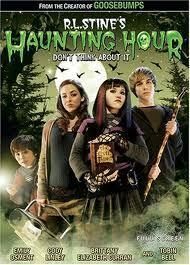 The episodes are still shown at Halloween time and many of the shows are now on DVD. Other R.L. Stine book creations include: Ghosts of Fear Street, Give Yourself Goosebumps, The Nightmare Room (also a TV series), Mostly Ghostly, and Beware!, a collection of all his favorite stories, poems, comics and illustrations. Rotten School was a series of funny books about the rottenest school on earth. He has also published two creepy short story collections– The Nightmare Hour and The Haunting Hour. Also, two teen vampire novels– Dangerous Girls and Dangerous Girls II: The Taste of Night. R.L.’s books are read all over the world. So far, he has sold over 350 million books, making him one of the best-selling children’s authors in history. These days, R.L. is busier than ever. He’s working on many books, including the Goosebumps HorrorLand series. R.L. lives in New York City with his wife Jane and his dog Minnie. His son Matthew is a composer, musician, and sound designer. 7. What is your favorite curse word? None. They’re all fine with me. If you need other info about R.L. Stine, check out his autobiography– It Came From Ohio— published by Scholastic. If you would like to see R.L. Stine, he will be signing books on March 10th, 2012, at Tuscon Festival of Books. You get the best people here for your interviews! What a cool guy. I just want to hang out with him all day and eat bomboloni. That just might be my new favorite word. It kind of sounds like a swear word, too. There have been some cool answers from peeps during these interviews. Lol, What’s been your favorite reply to date (out of all the interviews)? 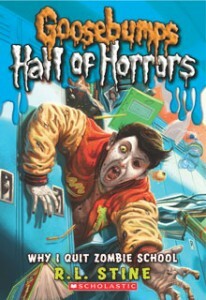 I loved, loved, loved RL Stine’s books when I was a teen. He was another author that inspired me so much. Now, I’ll have to reread them all again. 😀 Thanks for sharing this interview with us, Donna! 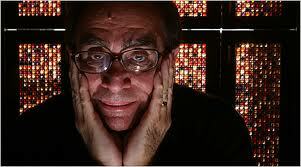 RL Stine! My girl’s 10. I’ve read tons of his books to her and she’s worked her way through all the Goosebumps and Horrorland books at school and the local library. Just wait till I tell her. I love the answers, I think I laughed at them all. “Worms in my salad” and “no more deadlines” are classics. They go to underline the guy’s brilliance at judging (and juggling) scary and humor to perfection. All your interviews have been great, but this one’s really special. I must admit, I giggled my arse of when I read the answers. Really? Perhaps you and RL Stine could start a new diet trend!